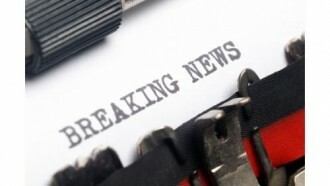 Weekend Open Forum: How do you learn about breaking news? How we learn about breaking news (world news, catastrophes, local happenings, etc.) has changed drastically over the past hundred years and even more so in the last decade. Scheduled print newspapers, once hailed as the most prominent source of news, have seen a steady decline in readership which was further accelerated by the growth of the Internet. Radio was once a popular medium to find out what’s happening in the world around you but again, popularity waned with the advent of television. In this day and age, the majority of news gathering comes through the Internet or extensions of it. Social networking sites like Twitter and Facebook allow users to post about events on-site as they happen which can literally spread like wildfire. Online news sites are also a popular choice and television newscasts still garner significant ratings. With this week’s Weekend Open Forum, we want to know how you learn about breaking news. Also, what was the latest breaking story that caught you completely off-guard and surprised you not only because of its content but by the medium you first heard it from? Discuss.